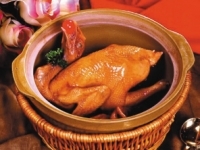 Harbin is often referred to as the “Eastern Paris” or “Eastern Moscow”. 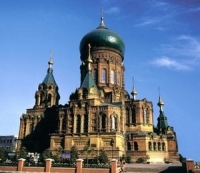 There are many types of scenery to show the magnificent charm of Harbin such as the splendid St. Sophia Church, the Central Street. 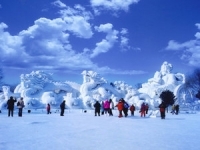 Harbin Summer Music Concert, Ice Lantern garden party, Ice and Snow World, such large scale activities display the profound culture of Harbin. The Yabuli International Ski Resort is China’s biggest winter sports venue, featuring the most advanced equipment and facilities as well as superior conditions not found anywhere else.